Earlier today, Minister of Finance Calle Schlettwein tabled the mid-year budget review. 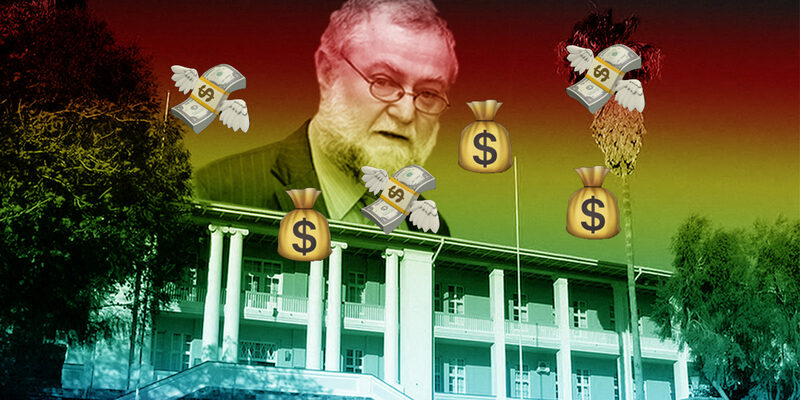 While many had expected a cut in government spending – because the slowing economy would result in less tax revenue for the state – the Minister surprised everyone by actually increasing spending by several billion dollars. Still, some Ministries will have to cut their expenditures going forward. 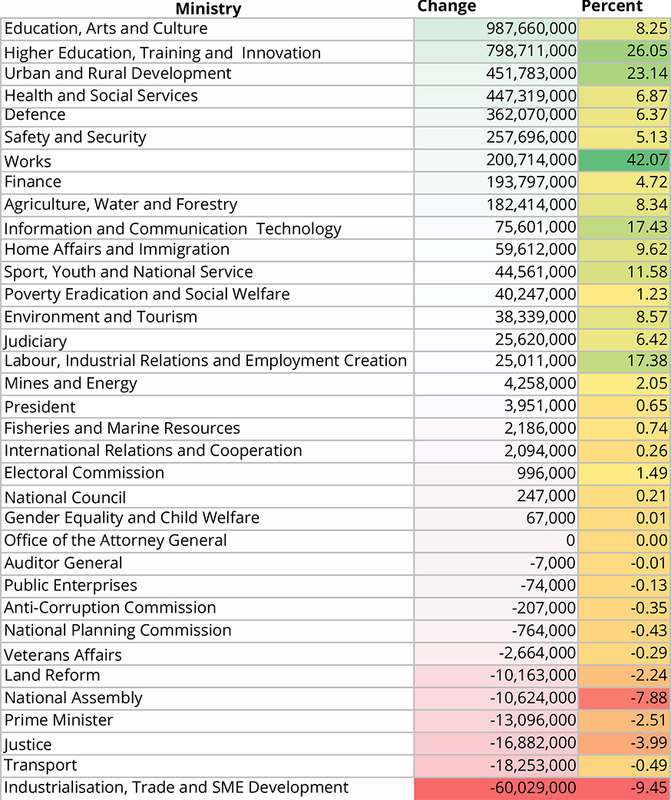 Here’s a table of the Ministries which gained – and lost – the most during this adjustment. A few things stand out: firstly, education sees big increases, especially higher education. It is also interesting that defence saw such a massive increase – just after the original budget suggested the ministry would see a cut for the first time in a very long time. Once more, the National Assembly was cut. This will not make MPs happy, as they were a major victim during the last adjustment and were furiously complaining that they were unable to properly fund the work of committees earlier in the year. Most of the increase went towards social services and grants, and of course in the current tough economy it is understandable why government was cautious about cutting their spending even further. But this spending increase is really pushing the limits of debt, and several economists have expressed their concern that this increase signals irresponsibility by government and could encourage a downgrade from ratings agencies. On the latter point, new ratings are due before the end of the year, so we will know soon whether this adjustment was a well-needed relief for the economy or the straw that broke the camel’s back.